FEEL THE GRIP OF THE HAND OF DEATH! This week I dive deep into the vaults of forgotten film and surface with a real oddity from 1962..."Hand of Death"! 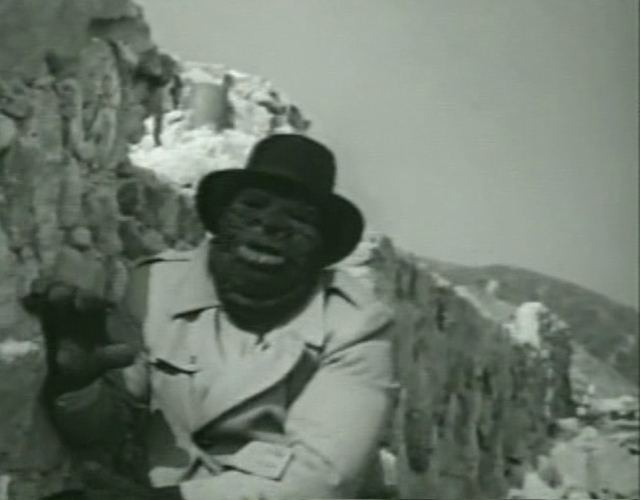 This black and white monster flick sat unseen in the vaults for 40 years until surfacing briefly in the early 2000's. It is still virtually unknown today. But The Good Doctor is determined to correct this oversight! Check out my look at this freak fest, which features JOHN AGAR as a hapless scientist transformed into a cracked and bloated monstrosity that can kill with the merest touch! To add further interest, the movie features guest appearances by JOE BESSER of the 3 Stooges and BUTCH PATRICK, later to be Eddie Munster! Plus it has one of the coolest film scores you'll hear! Get the dope on this grisly gem HERE...but remember, don't touch the monster!